A father, even a middling on like I was, knows that Christmas can never be Christmas without the input and participation of children. This meant that for many years Christmas with my two daughters and two granddaughters was that inevitable personal torture of sitting through another Nutcracker. The last one I ever attended ended with a big bang as my two granddaughters and I shared crepes with the Sugar Plum Fairy. But there is another Christmas tradition that has been afoot now in Vancouver. 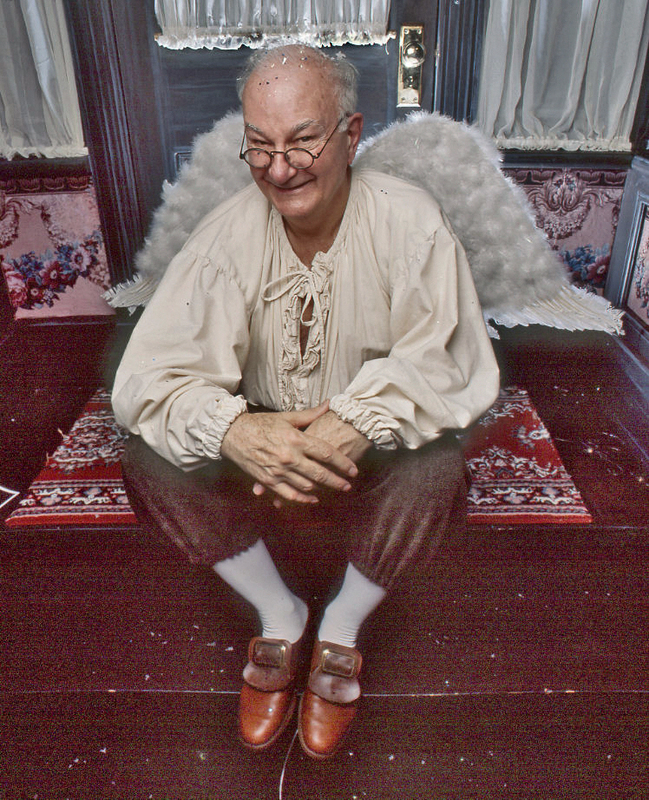 The Arts Club Theatre Company mounts one or two Christmas plays every year around now. 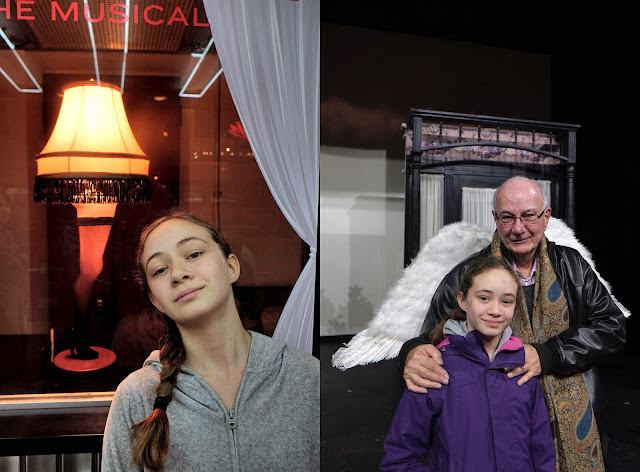 My granddaughter Lauren, 13 (in that in-between stage that one moment makes her a child and at another an adult woman) and I caught both A Christmas Story (on November 11th) and It’s A Wonderful Life last night. The former is playing at the Stanley the latter at the Granville Island Stage. I am familiar with both plays particularly It’s a Wonderful Life. Alone both plays would have dragged on. But watching my Lauren’s face brought back for me a vision that I was there for the first time. Seeing (experiencing) something for the first time is perhaps one of the wonders of youth. Not too long ago while driving in Vancouver I was listening to a Beethoven piano bagatelle. It was so spectacular that I stopped and called my Vancouver Symphony pianist friend Linda Lee Thomas. Her husband Jon Washburn answered. I told him of my excitement. His comment I have never forgotten, “Ah to listen to something for the first time!” He said it in a way that made it clear that my gain was his loss. Both plays, A Christmas Story (with direction and choreography by Valerie Eastman) and It’s a Wonderful Life directed by Santa’s first cousin Dean Paul Gibson have the expected but necessary in my books schmaltz and both use that waning expression of our times “merry Christmas”. Both feature children in the cast and a rosy Christmas of Christmases past before the advent of Black Fridays. For those who might have gotten this far in this blog I will reveal below (well below) my connection (as a child) with a Daisy BB gun which is the underlying theme of A Christmas Story. It is It’s a Wonderful Life (with just the right amount of un-tampering of a good thing by Dean Paul Gibson) that made last night a special night for my Lauren and her grandfather. It’s a Wonderful Life, the Vancouver version, rotates around three actors. One is angel Clarence played by Bernard Cuffling, the very warm Mary Bailey played by Jennifer Lines (is there any young boy that did not at least one time fall for a woman like her?) and the always dazzling guilty pleasure (I plead no excuse for that) of watching Lindsey Angell (as Violet) walk around in those dresses (costume design by Rebeckka Sarensen-Kjelstrup). Angell’s Violet I am sure could make the wheelchair ridden nasty man Henry Potter (played by Alex Willows) jump up from it. I propose right now that Mr. Millerd consider mounting A Cat on a Hot Tin Roof with Angell as Maggie. I can’t wait for that Teddy. Big Daddy Pollitt, naturally would be played by David Marr, Uncle Billy in It's Wonderful Life. But it is Bernard Cuffling who makes It’s a Wonderful Life the kind of play I can see over and over every year. To watch what Cuffling does with the two grabbed bullets from the air is always a dazzling surprise even though I know what’s coming. Cuffling is now 70 and I know that Joseph and his Boss will make sure (with some help from Millerd) to surprise us all with his delightful performance for many Christmases more. In 1954 when I was 12 my family and I moved to Mexico City. For that first Christmas I demanded a Daisy BB rifle. I have to point out here that I was a tad more sophisticated than Ralphie (played by Valin Shinyei in the Arts Club Theatre production). I did not want that Red Ryder Carbine Action 200-shot Range Model air rifle. No I wanted the pump gun. It was under the tree that Christmas. For days I walked to nearby factories and shot at and broke as many windows as I could see.